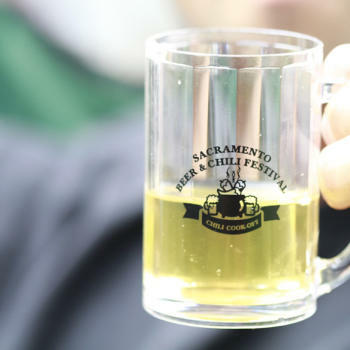 The third annual Sacramento Beer & Chili Festival will be held in Downtown Sacramento’s Fremont Park Saturday, April 19. The festival includes a competitive chili cook-off, beer tastings and live music. The music comes from local bands As Yet Untitled, URD-OM and The Twilight Drifters, and proceeds go to support art programs for children in the Sacramento area. “The event is a great way to introduce new regional brewers and promote local restaurateurs while contributing to a nonprofit organization in its quest to raise funds,” said Susan Rabinovitz of the Sacramento Artists Council. Sacramento’s beer scene has steadily expanded in the past several years, and many of the newest craft brewers will be pouring their brews Saturday. Chili will be judged in four categories – individual, industry, vegetarian and people’s choice. Sacramento is a bike-friendly city, and there will be a bike valet on-site for the event. Other aspects of the event include face-painting and crafts in a kid zone. Tickets on the day of the event will be $25 for designated drivers and $40 for standard admission. Designated driver tickets include two nonalcoholic beverages and unlimited chili tasting. Standard admission includes unlimited beer and chili tasting. Tickets purchased in advance online receive a $5 discount.